Watson Gloves, celebrating its 100th anniversary in 2018, has been protecting the hands of resource workers since the beginning. John Watson, a logger and glove maker in Oregon, moved to Vancouver, Canada in 1918. Once in Vancouver he saw an opportunity to sell higher quality gloves and partnered up with his childhood friend Wayne B. Stanley. In April 1918, John Watson and Wayne Stanley started a business selling hand crafted gloves to Vancouver’s dock workers. 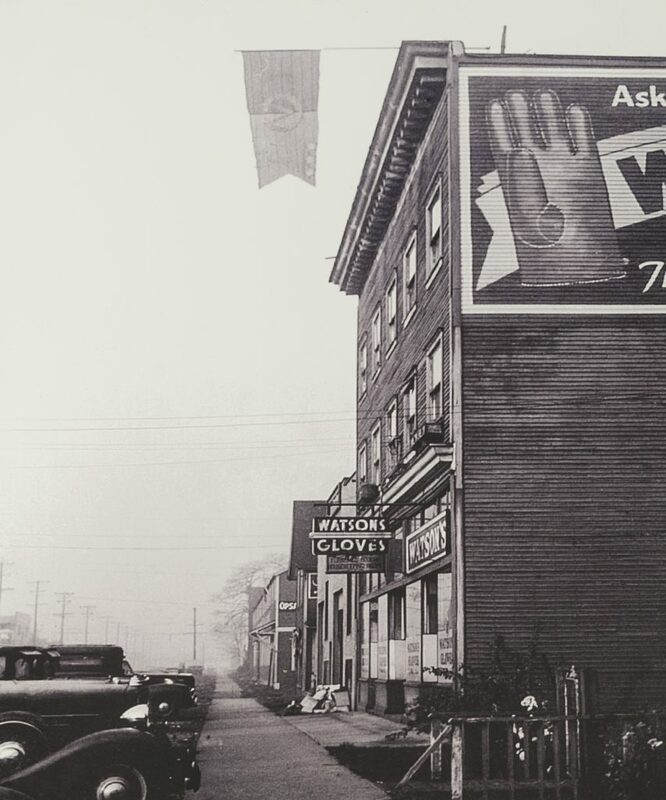 A century later, Watson Gloves has grown from a two-person storefront in Vancouver to become one of Canada’s largest distributors of quality gloves. Now selling products internationally with over 2,000 styles to choose from, the iconic Watson Gloves tag is recognizable on gloves serving customers’ needs from resources, to motorcycling, to gardening, and more. Ten decades of business has established Watson Gloves as your true Canadian glove experts. The secret to success? First and foremost, a commitment to quality. 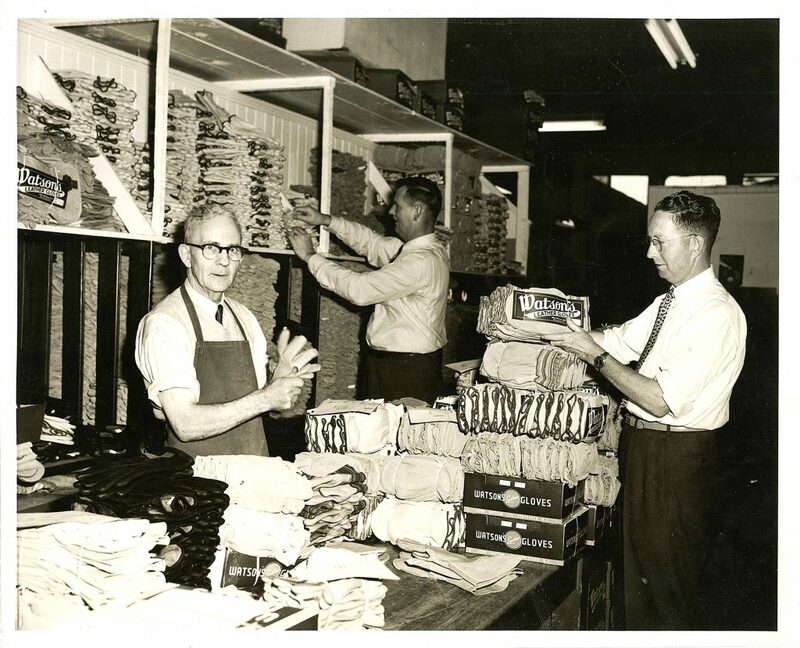 Despite facing many challenges, including two recessions, Watson Gloves continues to use tried and tested manufacturing techniques that earned them a reputation for producing quality products since 1918. In the Burnaby, British Columbia factory, workers are still using an antique kickpress that has been around since the 1920s to put snaps on Motorcycle gloves. As evidence of the proven techniques, Watson Gloves was once sent an old glove found in a barn that was being torn down. The glove is over 50 years old and still useable. Watson Gloves’ employee-centric emphasis is another key success factor. The average duration of employees with Watson is 15 years, a testament to how much workers love working for the company. They’ve even had a retiree come back to work! By hiring the right people who understand the company’s family-owned values, Watson Gloves has maintained a roster of Canada’s top-quality glove makers. The Watson brand is also known for their creativity and advertising, with product lines that push the boundaries and make gloves fun (…and cheeky). 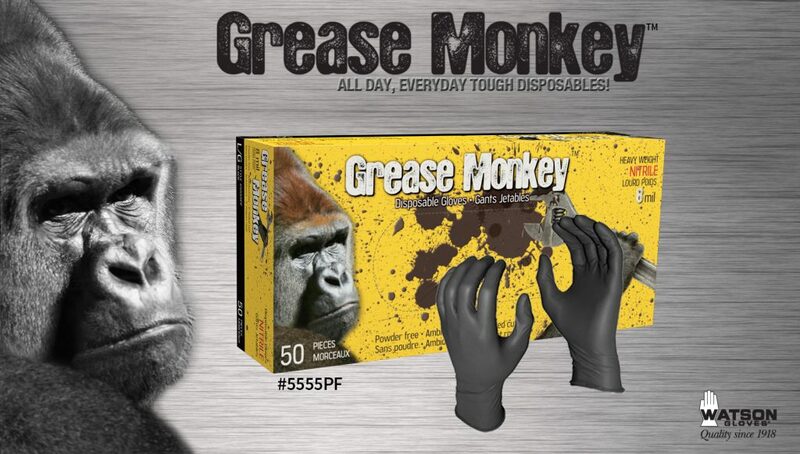 Best-sellers include the Grease Monkey, Anarchy Welding and Road Hawg, and their accompanying product videos take an equally unconventional creative license. 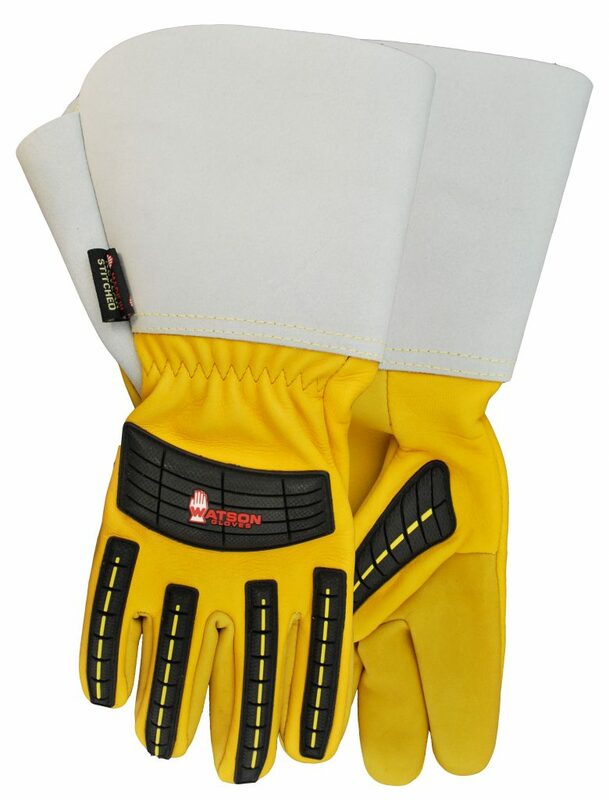 Watson Gloves is committed to innovation and is constantly seeking to improve their products. While the factory workers sew leather gloves, they also have purchasers who source the globe for gloves made of different materials and with the latest designs. Storm Trooper is one of the bestsellers for the northern Canadian resource sector and it is sewn in Watson Gloves’ factory. Gridlock is an example of amazing new glove technology that offers needle-stick, puncture and cut protection. Having just one style won’t cut it for all jobs, which is where Watson Gloves comes in. Staff will help you find the right glove for each task you or your employees need hand protection for. Watson Gloves offers a no-obligation, no-fee service, called a SWAT – a Specialized Watson Assessment Team. Watson Gloves’ SWAT team is only one of the ways that the company maintains its customer-centric approach, providing exceptional service before, during, and after purchase. All of Watson Gloves’ departments are aligned with providing excellent service from marketing to accounting, to IT, and the company consistently receives straight A’s from the vendors on electronic processing and shipping. For this reason and more, Watson Gloves still has customers that have been purchasing products from the company since John Watson started. Clearly, Watson Gloves is serious about hand protection and wants to help you get it right. Statistically, the most common worksite injuries occur to the hand and/or fingers. These incidents account for more than 25 per cent of all occupational injuries. Even more shocking is that 70 per cent of those injuries happened because the worker was not wearing gloves. Protect your and your employees’ hands by calling Watson Gloves. They have three branches with fully-stocked warehouses in Burnaby, B.C., Calgary, Alberta, and Mississauga, Ontario so you can get the gloves you need quickly. With three generations of Moore leadership at Watson Gloves over the past 100 years, Martin Moore, current President of Watson Gloves, is proud to lead a family-owned business that has had considerable success making quality products that customers can depend on. Despite growth over the years, the company has never lost sight of its humble beginnings, and will continue to honour its founders’ belief that quality materials and above-and-beyond customer service go hand-in-glove. Watson Gloves is a true Canadian success story, an example of what hard work, a commitment to quality and homegrown Canadian values can achieve. Having started as a tiny storefront in a building that originally served as a bootleg business in the early 1900s, the company’s impressive journey has since led to an expansion across Canada. Now offering gloves in all provinces and territories across Canada and exporting on an international scale, Watson Gloves has the coveted recipe for success. Check out Watson Gloves at www.watsongloves.com or call 1-800-663-9509.